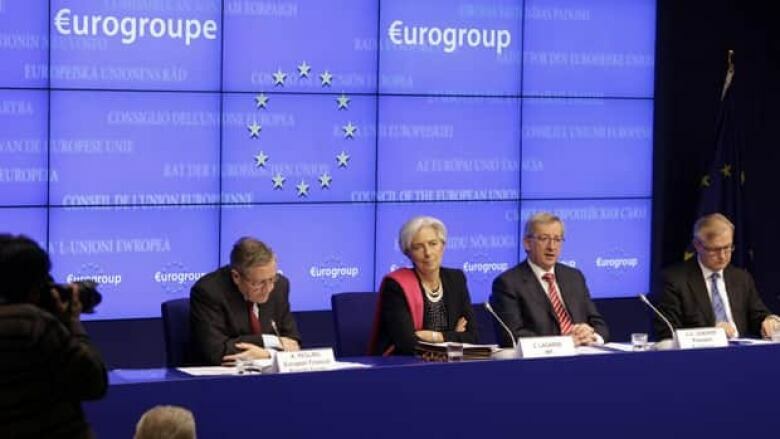 Optimism over a €130 billion ($170 billion) Greek bailout deal was muted Tuesday after concerns about the hurdles facing the new bailout measures. Optimism over a long-awaited €130 billion ($170 billion) Greek bailout deal was muted Tuesday after concerns about the hurdles facing the new bailout measures. Greece will still have to implement the harsh austerity measures required by the deal, which could be difficult depending on the results of April's general election. Greece is entering its fifth year of recession, and at the worst, the new program would push the country even deeper into recession and see it default on its debts down the line. The bailout must also be approved by the Dutch and German parliaments, which remain skeptical about the wisdom of continuing to fund Greece's debt problems. What hope do you have for Greece's economic recovery? Have your say. European stock markets traded lower as optimism over the deal quickly fizzled. "It's not an easy (program), it's an ambitious one," said Christine Lagarde, the head of the International Monetary Fund, adding there were significant risks that Greece's economy might not grow as much as hoped. The bailout plan assumes Greece's economy will continue to contract until late 2013. The deal "closes the door to an uncontrolled default that would be chaos for Greece and Greek people," said Jose Manuel Barroso, president of the European Commission. As part of the deal, Greece faces severe austerity measures that are expected to be unpopular among the Greek people. At the same time, the European Central Bank and the national central banks in the countries that use the euro will forgo profits on their Greek debt holdings, again reducing the costs for Greece. "It's a very good accord in the sense that it is equitably divvied up," said French Finance Minister Francois Baroin. "The Greeks have made their efforts. The Europeans are playing their supporting role, in their role as creditors. ... And the private sector part goes beyond" what could be expected. What hope do you have for Greece's economic recovery?